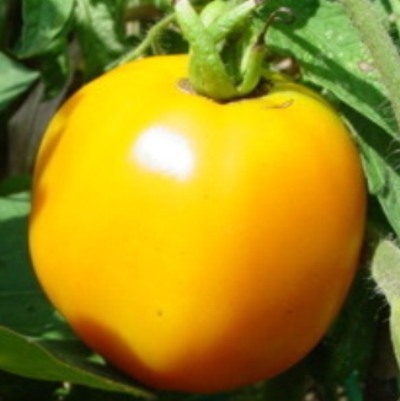 Meaty tennis ball sized fruit, lemon yellow with sweet flavor and easy to grow. Taxi yellow is “Indeterminate” meaning it is a climbing type plant and needs extra staking. They also provide fruit over an extended period of time.